Your sump pump is a crucial part of your home’s plumbing system. It is important to keep your sump pump well-maintained in order to avoid issues with backups or even flooding. After all, your plumbing system is important to your family’s health and safety, so you should routinely check on your sump pump, pipes, and integral plumbing features (such as the toilets and sinks) in order to make sure your home is running smoothly. 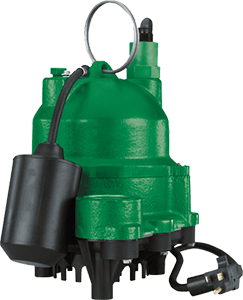 Here are just a few tips that can help you maintain your sump pump. Just like any other part of your plumbing system, frequent check-ups are key. Regularly look over your system and clean your sump pump of any dirt, gravel, or other natural debris to ensure it is working properly. It’s also important to have regular plumbing inspections to make sure all parts of your plumbing system are working well together. This can help you avoid costly repairs or even devastating flooding and water damage. In case of emergency, you should always be prepared to back up the important systems in your home. The plumbing is no inspection. In this case, you should have a backup pump system in case of power outages or a failing sump pump. A sump pump in disrepair can cause flooding in your home, which can result in expensive damage, mold growth, and lasting problems for your home’s system. You should also be checking your battery regularly to make sure it will not fail in case of emergency. The last thing you need is an overflowing sump pit when you have other power outage issues to sort out. Just like with any other system in your home, it is incredibly important for homeowners to stay on top of maintenance and repairs. By being proactive, learning how your system should work, and asking questions of your trusted plumbing professionals, you can better take care of your system. This will help you avoid damages or other repairs in the long run, but it will also help you to maintain your system and prolong its life. A great idea for maintaining your sump pump is actually an alarm. By installing an alarm, you will be alerted when your pump stops working. This can help you avoid flooding and repair your system quickly and efficiently. This entry was posted on Friday, January 18th, 2019 at 12:03 pm. Both comments and pings are currently closed.